Flowers play an important role in our lives. 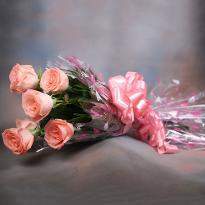 These are the token of love, care and appreciation and are the means to express our emotions and passion. But how about if you could add more colors and vibrancy to each of these and present them even when you're far away? 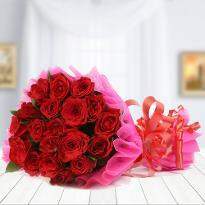 Well, Winni is known to do something out of the box by offering you amazing flowers bunches, special bouquets and floral basket as the priceless gift which can simply sweep your dear ones off their feet. 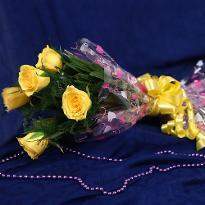 We also gives you the freedom to order and send flowers online to Sambalpur, all the way to your friends and family. 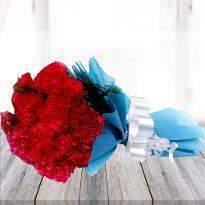 With the online flowers delivery in Sambalpur, you can easily surprise your dear one on any occasion. 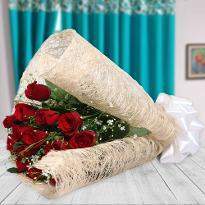 If there is one gift option, which you can present to your dear ones to express any emotion, it is flowers or flowers bouquet. 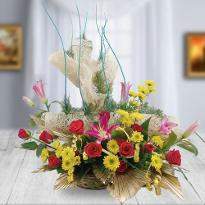 Flowers help express your every feelings and emotions perfectly. 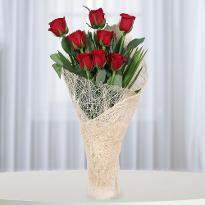 You can send Roses to your dear ones on office inaugurations as carnations represents strength, luxury and love. Or, you can give your loved ones white lilies at funeral services, lilies symbolize grief and mourning. Flowers are the most failsafe gift option, irrespective of what the occasion is flowers definitely, enlighten the cheerful spirit in people. 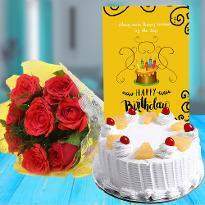 At Winni, you can explore our exclusive collections of beautiful flowers gift online for every occasion, which will definitely be appreciated. We house gorgeous and most appreciated flowers as gifts. 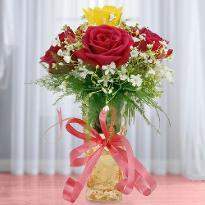 Some of the Winni flowers include stunning roses flowers gerberas, carnations, lilies and orchids. Flowers add happiness and color to any kind of occasion and if you want to order beautiful bunch of exotic flowers for the dear ones of your life who resides at Sambalpur, look no farther and order for online flowers delivery in Sambalpur from Winni. When you know that you cannot be at your place on any important occasion and want to compensate for that, you have an easy option to impress your family and friends. 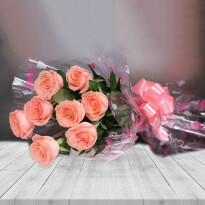 Send flowers to Sambalpur choosing the best collection from our website and have a wonderful time even when you are away from your loved ones. Confused about how to cheer up you mate? Why not send flowers to Sambalpur with a note to express? Flowers express feelings that no other gifts can, they have the power to cheer up more the day special and brings a huge smile within minute. 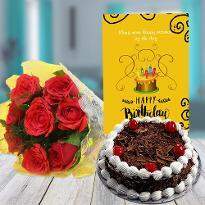 Do not forget to send birthday flowers to your mate for her birthday using birthday flowers online delivery in Sambalpur. 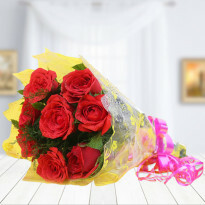 Winni - Online Flowers Delivery in Sambalpur @ Rs.349/- | Order, Buy and Send Flowers Online Now! 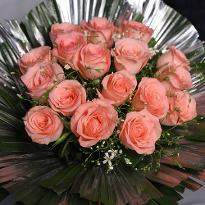 Looking for a great flowers shop in Sambalpur, you simply won’t find a better place to order flowers online than us. 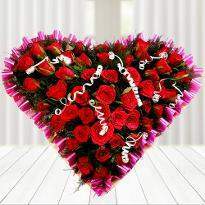 For flowers to Sambalpur, Winni is Sambalpur premier florist and flowers delivery in Sambalpur is what we do best. 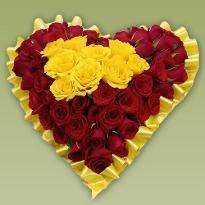 When you wish to send online flowers to Sambalpur we offer the finest flowers in Sambalpur. We always deliver fresh flowers. Our flowers are hand picked and hand prepared in Sambalpur. 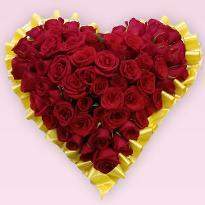 Our local florist in Sambalpur deliver it personally at door step of your dear ones. We deliver on time with satisfaction guarantee. 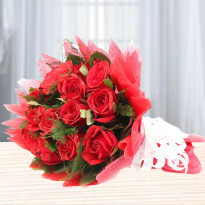 Same day flowers online delivery in Sambalpur is one of the convenient ways to send flowers to your mate. 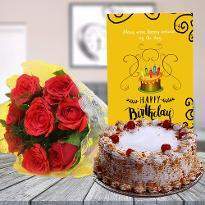 Nowadays, people prefer going online and send gifts through the internet, use flowers delivery in sambalpur service and get your flowers delivered anywhere at any time. 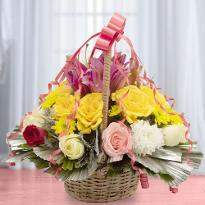 When time is short, the best option is to do somethings unique and send flowers to Sambalpur and add sweetness in the form of a nice gesture in life. Online flowers delivery in Sambalpur is the best, most reliable and fastest source of delivery to send the flowers on the same day. 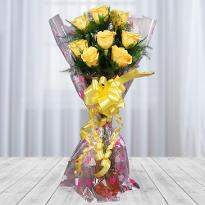 Order, deliver and surprise your girlfriend by showering love with flowers. The mesmerizing beauty and fragrance of flowers surely delight people enormously and resonate with any joyous occasions vibe. 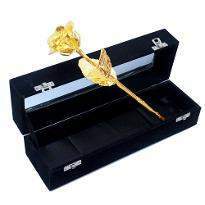 Whether the flowers you gifts are appropriate to the occasions and the message you want to convey, depends upon their colors and type. 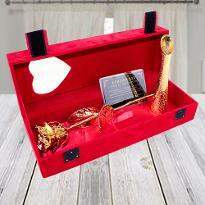 Red is symbolize romantic love and can be given to your partner on valentine's day, to make her feel tremendously special. 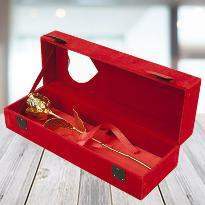 Just imagine the million dollar smile on the face of your lover when they receive the Valentine flowers from your side. Since white is a symbol of spiritualism and peace, so any white flowers can be given to your dear ones, to express condolences or apologies.